Egg shells are made largely from calcium carbonate so, as well as being essential for the usual functions of building strong bones and keeping brain, nerves and muscles working properly egg layers require a plentiful supply of calcium in their diet for shell formation duties. Soft-shelled, thin shelled or eggs with no shell can be laid by young birds, particularly their first ones, because their laying system is not yet into a proper routine. You should not experience more than a couple of soft-shelled eggs if you are feeding a balanced diet of layer’s mash or pellets and grit. 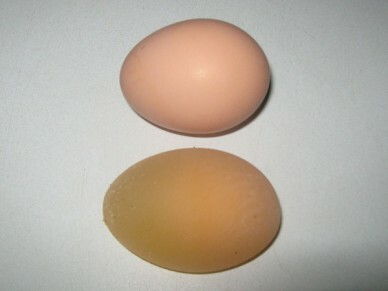 Older hens, especially those coming to the end of lay, are also susceptible to laying soft-shelled eggs. There is a degree of interdependence between all the essential egg making vitamins and minerals. As well as calcium Vitamin C is a very important factor in egg shell quality and, working away in the background, helping the uptake of both of these in to the body is Vitamin D. This means that it may not always be simply a lack of calcium in the diet that causes soft-shelled eggs but rather a deficiency of any combination of these. 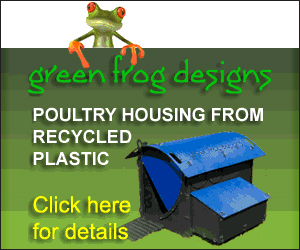 If you have an otherwise healthy hen laying soft-shelled eggs examining and adjusting the diet if necessary is always the first step to a solution. The main source of Vitamin D is sunlight but foods that contain good amounts such as carrot tops, spinach, parsley, cabbage, broccoli, mealworms or sweetcorn all make excellent supplements. Calcium intake can be increased by adding oyster shell grit or baked (to sterilise) finely crushed eggshell to the usual feed. Chickens make Vitamin C as part of their normal bodily functions but there may be times when a suitable supplement may still required. A good tip to ensure your hens are getting a balanced diet is not to give treats until they have settled into a regular egg laying pattern and even then not until later in the day when they have will have had an adequate amount of their usual layers diet formulation. Illness or any sudden shock such as a loud bang or low flying aircraft can also cause malformed eggs at any time. In these circumstances it should only happen once as it is just the fright that moves the egg along quicker than it normally would. This causes the egg to miss out on the formation of a shell but usually all will be back to normal the day after. Remember that intensively farmed hens, who are conditioned to lay daily, may exhibit egg laying problems much earlier than naturally raised birds. The time for concern is when misshapen or soft-shelled eggs are laid repeatedly by either one or more members of the flock. This could be an indication of disease and if this is the case you will usually notice other signs that your chickens are unwell. A veterinary visit is advised.